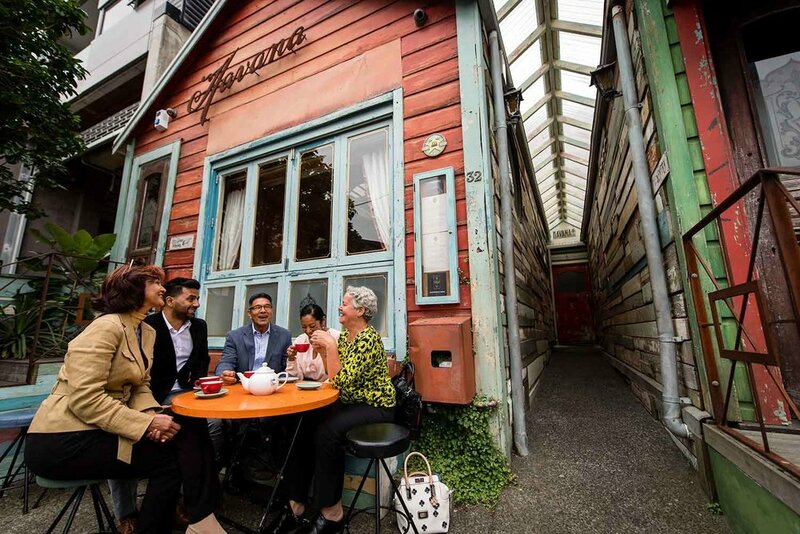 Discover the charms of Wellington city or journey to the landscapes beyond with Rose. Full and half day private tours for 1-5 people. Rose offers half and full day tours of Wellington and surrounds, as well as multi-day North and South Island excursions. You and your companions will have Rose and her vehicle entirely to yourselves. Rose will pick you up from, and drop you off at, the location of your choice – cruise ship port, local accommodation or other city location. And, at a times that suits you. In many cases, elements of one tour can be substituted by elements of another, in line with your interests. Rose’s spacious late model Kia Carnival has leather seats and provides an excellent field of vision. Rates include half and full day options for 1-5 people. All rates include entrance fees, wine tasting fees, and refreshments, including lunch on a full day tour, and fish’n’chips or a casual dinner on twilight tours. 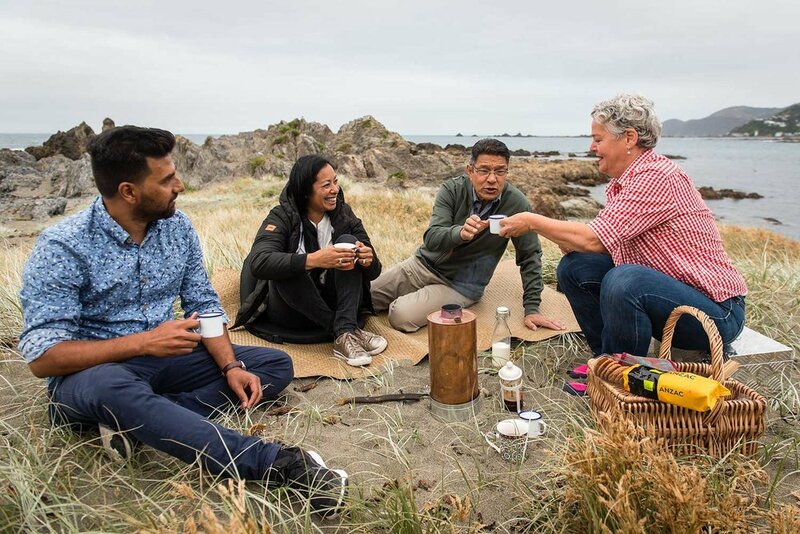 Rose loves New Zealand, and delights in providing visitors with opportunities to explore and discover the essence of the country. Whether you’re a cruise ship passenger, holiday-maker or have the chance for a bit of R’n’R following a work trip, Rose can provide you with an experience that will inspire and delight. In her varied career, Rose has provided film directors and studio executives, business leaders and international media with memorable authentic experiences of New Zealand. From her years of hosting overseas visitors, Rose knows that it is often the little things – the out-of-the-way and the unexpected – that bring the greatest delight. 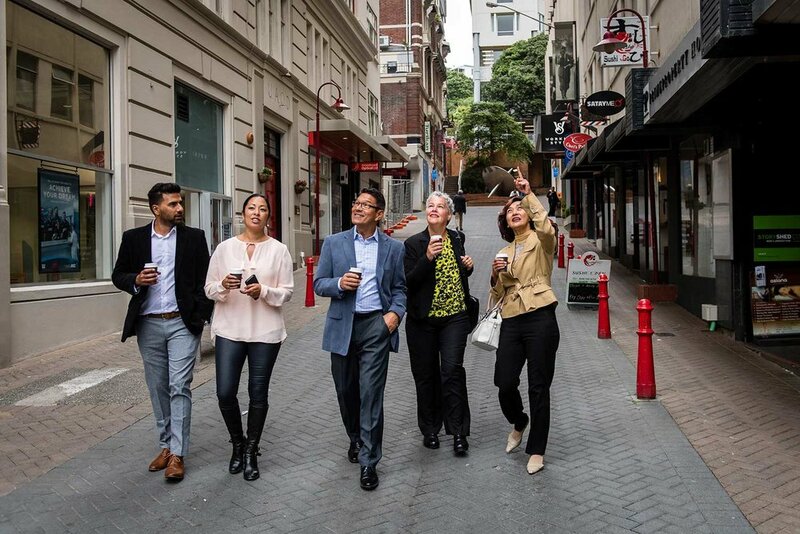 Rose likes to take every opportunity to share the quirky and idiosyncratic aspects of Wellington and New Zealand to her guests.